Tonight in Verona, NY WBA Lt. Heavyweight champion Dmitry Bivol had to survive a couple of scary moments, but in the end had more than enough to successfully defend the WBA Lt. Heavyweight title for the fourth time with a unanimous decision win over Joe Smith, Jr. (118-110, 119-109, 119-109). During the first three rounds Bivol (16-0, 11 KO’s) did a terrific job of boxing. Bivol used his advantages in hand and foot speed to land jabs and hard punches while staying defensively responsible against the hard punching Smith (24-3, 20 KO’s). The disparity in skill, talent, and boxing intelligence was obvious to see. Bivol boxes like he’s playing chess while Smith boxes like he’s playing checkers. In the fourth, Smith seemed to stun Bivol with a right hand high on the head, but could not take further advantage as Bivol boxed smartly for the rest of the round. During the middle rounds, Bivol continued his dominance outboxing Smith with ease. In rounds seven and eight, the champion stunned the challenger with solid left hooks. The frustration was visible from Smith in the 9th as early in the round he hip-tossed Bivol to the ground. Bivol showed his professionalism by not getting angry; he instead got up and continued to box Smith and once again caught Smith with another solid left hook to the chin. However at the end of the tenth round Smith hurt Bivol with a right hand that had the champion shook and wobbly walking back to the corner. Invigorated in the 11th, Joe Smith Jr. fought with renewed vigor landing right hands and pressing the action to win the round as Bivol seemed to be still affected from being stunned at the end of the previous round. During the final round Dmitry Bivol rose to the occasion and closed the show like a true champ. Re-establishing control with the jab and creating distance, Bivol also showed late-fight power hurting Smith with right hands. Smith was in serious trouble along the ropes at the end of the final round. After the fight Bivol admitted that the fight was a bit tougher than the scores acknowledged the punching power of Smith. Asked who he would like to fight next, Bivol stated that he wanted a memorable, significant fight and said he would welcome a fight against anyone at Lt. Heavyweight or Super Middleweight. Even in defeat, Joe Smith, Jr fought well enough to stay a viable name in the Lt. Heavyweight division. 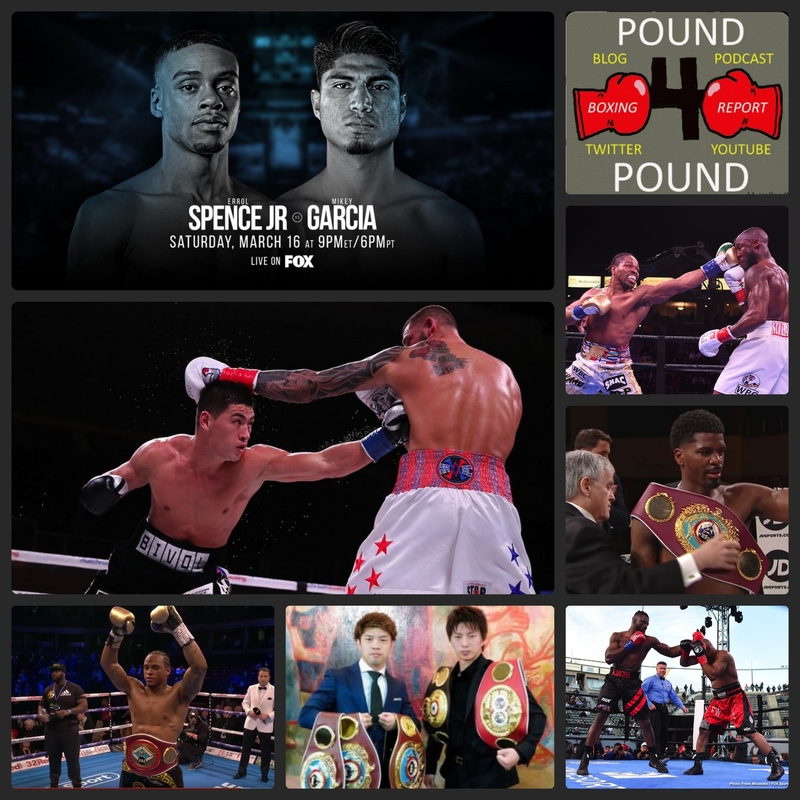 Pound 4 Pound Boxing Report #218 – Upset of the Year? 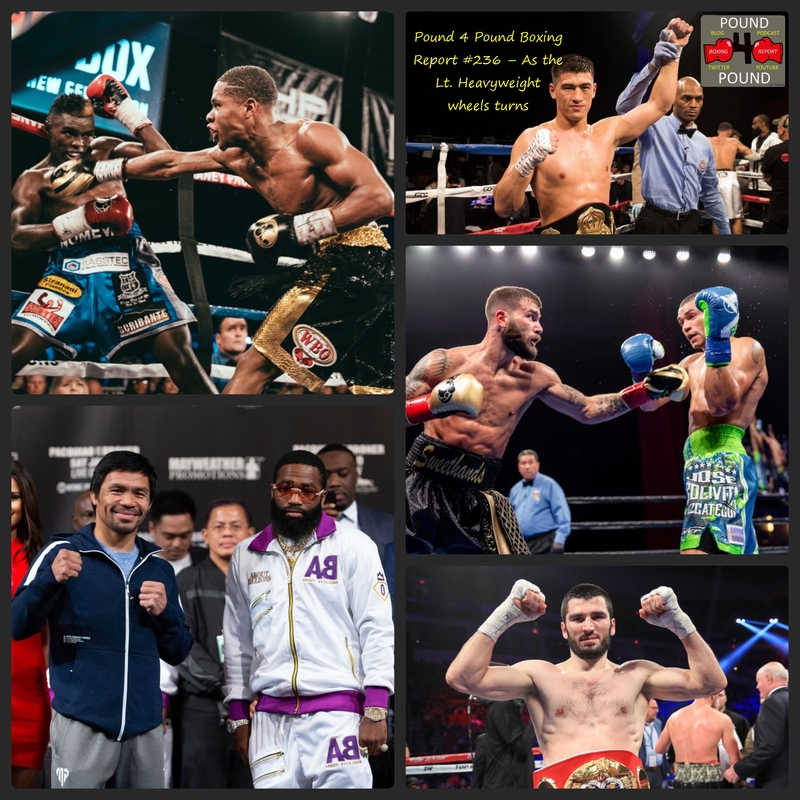 Eleider’s upset KO over Sergey Kovalev and the ramifications on the Lt. Heavyweight division. Dmitry Bivol decision win over Isaac Chilemba. Tevin Farmer’s win over Billy Dib to finally become a world champion.